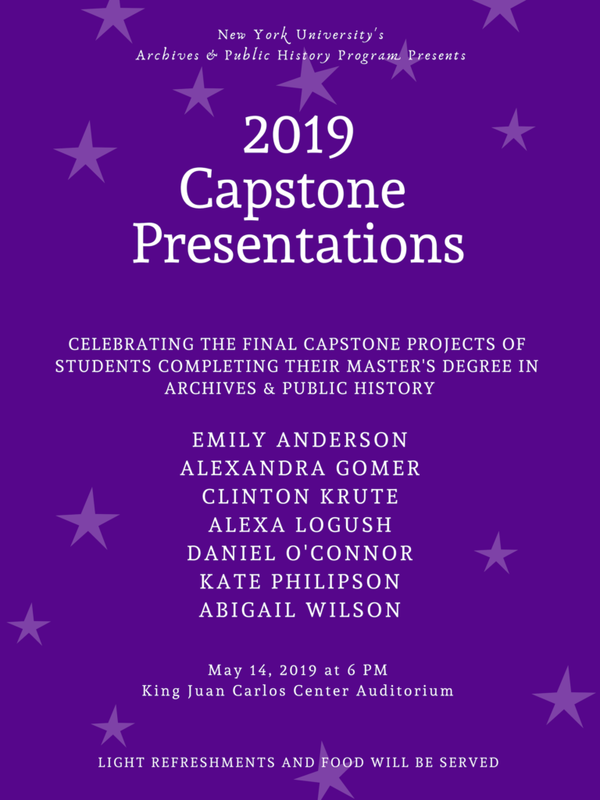 We are thrilled to be sharing the work of our graduating Master’s students in Archives and Public History on Tuesday, May 14th at 6 pm in the King Juan Carlos Center Auditorium. This event is open to the public and we encourage you all to join us for an educational evening! This past spring semester (2018), APH student Margaret May worked at the American Irish Historical Society in New York City. Below you’ll find Margaret’s blog post about her experience. I completed my archive internship at the American Irish Historical Society in New York City. I worked with two collections: the Daniel P. Cohalan Papers (1897-1971) and the Harry Fairtlough Post Card Collection (1888-1984). Daniel P. Cohalan played an active role in the American Irish Historical Society. He was a significant leader of Irish-American nationalism and the Friends of Irish Freedom- an organization founded right before the 1916 Rising to promote the cause of Ireland in the United States. The bulk of his papers consist of correspondence, articles, newspaper clippings, speeches that pertain to the historical events leading up to the Easter Rising and its aftermath, between 1916-1926. The Harry Fairtlough Post Card Collection (1888-) consists of 1,200 postcards from around the world that he collected during his lifetime. Fairtlough was an Irish patriot, local historian and amateur archivist from Drogheda, Ireland. He played a significant role fighting in the IRA, in the struggle for a free Irish Republic. The predominate content of the post cards I worked with consists of brief correspondence between family and friends, as they traveled throughout the counties of Ireland and Northern Ireland; on holiday, business or everyday travel, visiting the various geographical and cultural sites in Ireland and Northern Ireland, represented on the images of the post cards. The internship culminated with the creation of an online portal, presenting a sample of the Harry Fairtlough Post Card Collection to the public, utilizing Omeka software. I selected five sample post cards, to create a mini- collection and highlighted them through an exhibit, sharing the various fascinating, Irish stories that were represented on the images of the post cards.